Thanks for listening to the Rise Up for You Podcast!! Ever wished growing your business didn't have to be so hard? What if you could actually get better results by working less and having more fun? 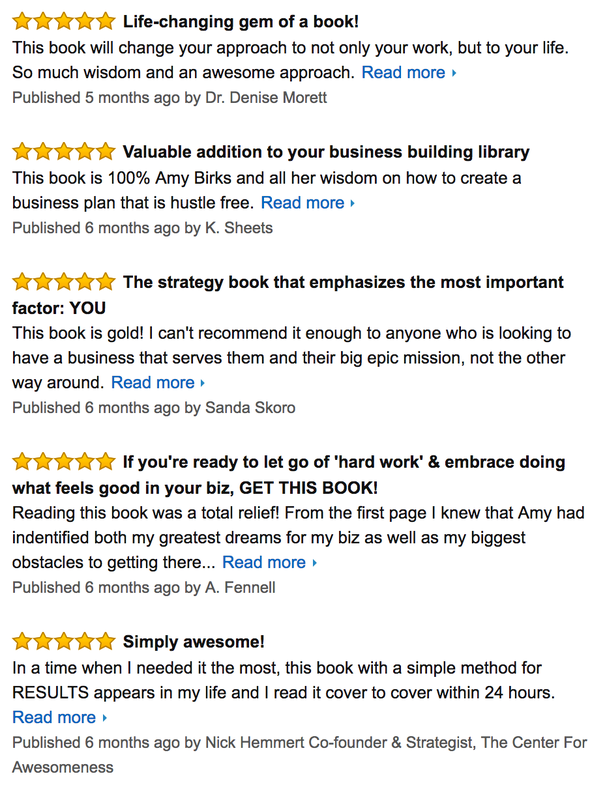 #1 International Bestseller, The Hustle-Free Business dispels the myth that “hustle” is the only path to success. I've developed an indispensable, easy to implement 7-step process to help frustrated, overworked coaches generate the results they really want. No overtime required. How to create a strategy that actually works for you - with my “RESULTS, Rituals" and Strategy Master Class to follow. How Humanity’s Biggest Lie is holding you back from bigger success - whether you realize it or not! Why even though you may be getting results you're still feeling unfulfilled - and exactly what to do to change that. Forever. What’s preventing you from making your next big leap - and how to quit getting tripped up by it. Why you shouldn’t invest in another online course, marketing formula, or guru’s blueprint to follow - maybe ever again!